We have a couple of computer deals which we'll sell on a first come, first serve basis. Although we are closed today (Friday, November 25th) we are open normal hours again starting tomorrow. If you're interested in one of these two deals, please call us to talk about or purchase them. Deal #2 - We have a refurbished Lenovo Tower, 4GB RAM, 500GB hard drive, Windows 10 Home, DVD burner. This unit, new, sells for $595. Our refurbished until sells for $150 and comes with a 90-day warranty. Setup is also extra. If you are interested in either of these deals, please call us tomorrow during our normal hours (8 a.m.-12 Noon) Again, we only have one each so please don't hesitate if you want to purchase. Besides our two deals, if you are looking to purchase a computer during Black Friday/Cyber Monday, our Question of the Week is an important read! Find all the details below. Question: "I know you sell computers. I found an ad where a Windows laptop computer is for sale for $99. I'd rather buy from you, can you match that price?" Answer: This is one of the easiest questions we've had as far as giving the "short answer." The answer to this week's question in one word is: "No!" Truthfully, even if we could match that price, I would never sell you a new Windows computer for $99. Why not? Because I know you'd be unhappy with your purchase and I don't want to sell you something that will make you unhappy. Brand - Although any Windows computer manufacturer can produce a computer that doesn't run like it should, in our shop, we look at the overall performance of a brand. With that in mind, these are the brands of Windows computers we recommend: Lenovo (the company that bought IBM's computing division), HP, Dell and Acer. 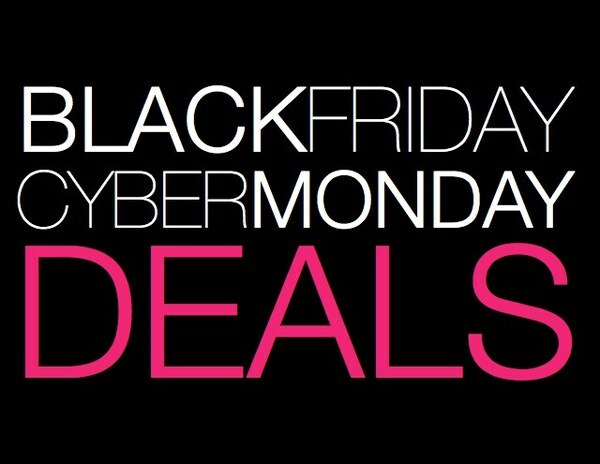 If you're looking at a Black Friday/Cyber Monday deal that isn't one of these brands, we caution you to look carefully. Memory - Computer memory, also known as RAM, is important. For Windows 10, we recommend a minimum of 4GB of RAM. (That $99 computer mentioned in the question above has half of that - 2GB.) We'd actually prefer that you purchase a Windows 10 computer with 6GB or 8GB or 12 GB of RAM. The more memory, the better. At 2GB of memory, your computer will run so slowly, you'll want to throw the machine in the garbage before the first week of use is up. Processor - The brains of a computer is called the processor or CPU. There are two major companies that make Windows computer processors - Intel and AMD. Which processor you purchase is important as processors determine the overall speed of the computer. Also, some processors have a better track record than others in terms of life span, wattage use and heat dissipation. For the "cheap" computers you see advertised during Black Friday/Cyber Monday sales, many of those machines use an Intel i3 processor. We don't recommend this processor and, although our distributor has computers with it, we don't sell them. We find this processor too slow and a real source of aggravation. As for AMD, we recommend a quad-core unit if the computer uses the AMD processor. One other thing to consider regarding Intel processors is which generation of processor are you purchasing. We recommend either a 6th or a 7th (the newest) generation. DVD Drive - Many of the newer, lighter and thinner laptops don't have a DVD drive. If you play CDs or use DVDs for videos or programs, this could be a real problem. Be sure to consider whether a computer has a DVD drive or not. One last thing to consider - Regarding the purchase of a new computer is setup. You wouldn't believe how many things need to be set up on a computer. We charge $94.50 for new computer setup and we actually set it up properly. Some other places charge for setup but don't do half of what should be done. Plus, unlike others, our setup charge includes free local delivery and hook-up to your network and printer. Our final word is: use caution when purchasing strictly by price. The "great deal" may wind up costing you a lot more in the end. Our December seminar is Saturday, December 10, 2016! As the Year of Impossibilities (2016) comes to an end, we'll review what has happened this year and we'll take a look ahead to what's on the horizon in the computing world. We'll also be talking about smart phones, emails and how to not get scammed! We hope you'll join us!